Quick Move In! 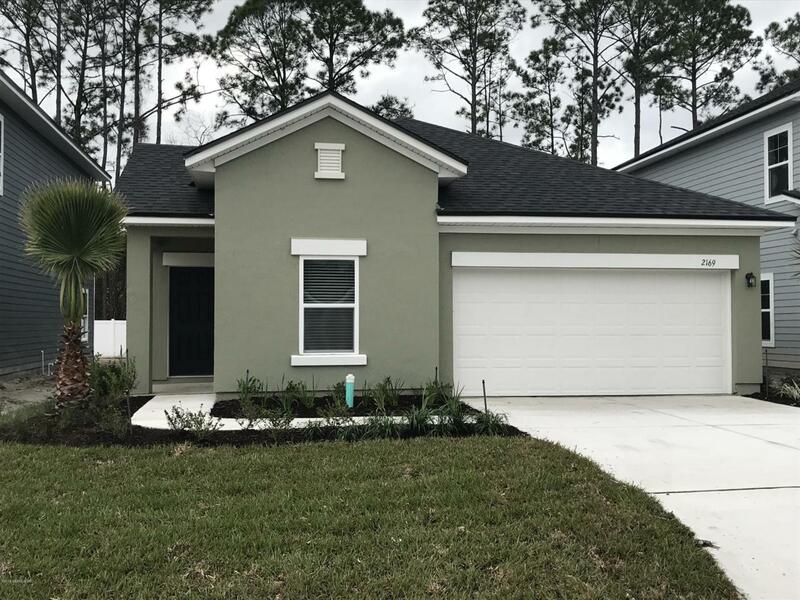 **Actual Photos** The Cloister ''A'' has 3 bedrooms, 2 baths, office with French Doors, and a 2 car garage. Also features beautiful Gourmet kitchen with double ovens. Quartz countertops in kitchen and both bathrooms. Tray ceiling in Great Room. Sliding glass doors open to covered lanai.Tiled floors in all living areas, extra recessed lighting throughout home, bay window and tray ceiling in master. Master Bath has frameless glass enclosure. Call today for more details!Home is built with the ZIP System for high efficiency. Builder pays all approved Closing Costs with Approved Lender.